Kilchoman was the first distillery to be built on Islay in over 124 years. The distillery was founded in 2005 by Anthony Wills and is Islay’s only farm distillery, producing Single Farm Single Malt. Kilchoman is one of the few whisky distilleries in Scotland to remain independent. Established in 2005, Kilchoman was the first new distillery to be built on Islay in over 124 years. Kilchoman founder Anthony Wills, set out to revive the lost art of farm distilling once widespread before the commercialisation of the distilleries in the late 1800s. Over a decade into his journey, Kilchoman’s 100% Islay range remains the only Islay single malt produced completely on site, from barley to bottle. Our 100% Islay philosophy stems from a desire to resurrect the grass roots tradition of farm distilling. Since we established Kilchoman, the 100% Islay range was our main reason for being. It represents the revival of single malt whisky being cultivated from barley to bottle in a single location. Ours is a distillery where the responsibility for quality and consistency is not outsourced but completed on-site with skill, care and attention to detail. We are proud to be the only Scottish distillery producing single malt from barley both grown and malted on Islay. And that’s not to mention that we distil, mature and bottle all our whisky here on Islay as well. 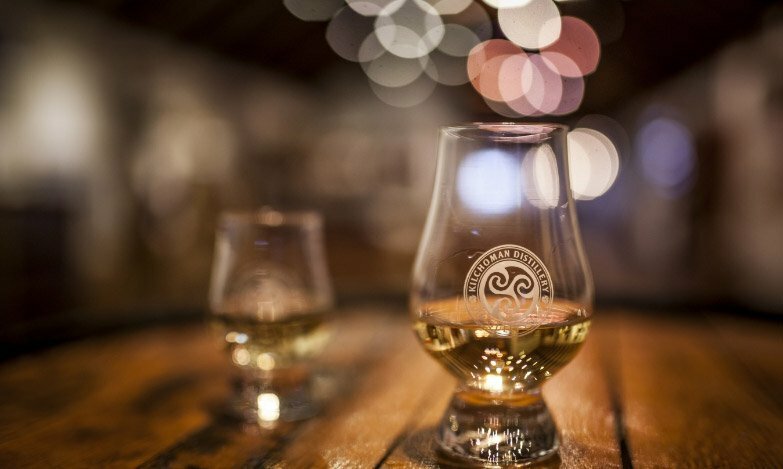 Whilst Scotland is home to well over 100 distilleries, the vast majority are owned by multinational companies. This is reflected in the ownership of Islay’s nine distilleries, Kilchoman being one of only two independently owned distilleries. Our independence gives us the freedom to pursue our vision of what makes a quality Single Malt, drawing on the traditions of Farm Distilling whilst continuing to explore the endless possibilities offered by growing, malting, distilling, maturing and bottling on site. The parish of Kilchoman is home to some of Islay’s most fertile ground. It is here, in the fields surrounding the distillery, where we grow 200 tons of barley each year. Planting in Spring once Islay’s 50,000 geese have migrated, our farm team care for the barley over the summer months before harvesting in early September. Harvest time represents the start of the whisky-making process which sees our Kilchoman grown barley malted, distilled, matured and bottled here at the distillery, eventually becoming Islay’s only Single Farm Single Malt Scotch Whisky over 1130 days later. Kilchoman is one of Scotland’s handful of distilleries still practicing traditional floor malting, a process which almost all distilleries outsourced with the onset of commercial distilling. The process involves soaking the barley in water before it is laid on a concrete floor and regularly turned by hand. This triggers the barley to germinate, allowing for the conversion of starch to fermentable sugars and alcohol. The labour intensive nature of floor malting is a significant factor in its demise, though it remains at the heart of our 100% Islay philosophy. Cut from Islay’s many ocean-soaked peat bogs and used to smoke the germinating barley, the unique make-up of Islay peat adds layers of rich, maritime smoky character to the whisky. During the peating process the barley absorbs the distinct Islay peat character, adding layers of complexity to the whisky once distilled and matured. After peating and drying the malted barley is left to rest for a minimum of two weeks ahead of milling and mashing. After peating the barley is sat resting in the malt bins for around two weeks before making its journey to the still house for the next stage. Our custom built 1.2 ton mash tun is put to work on a daily basis with a careful balance of water temperature and slowly turning rakes working to extract fermentable sugars from the crushed barley grains. This liquid, wort, is then drained off to form the basis of the Kilchoman spirit, leaving behind the spent grain known as draff which is used to feed our herd of Aberdeen Angus cattle. Once the sweet, malty and slightly smoky wort is drained from the mash tun, distiller’s yeast is added to trigger fermentation and the creation of alcohol. Our fermentation is never rushed, at nearly double the industry standard, our 85 hour fermentation allows for the development of complex esters and the build up of lactic acid which produce creamy, buttery and particularly fruity notes. This long fermentation time is vital in creating the complex and flavourful spirit unique to Kilchoman. Our stills, the smallest on Islay, create unmatched purity of spirit. Their distinct size and shape along with our spirit still reflux bulb create unparalleled levels of copper contact, allowing for the marriage of earthy, maritime peat smoke and the light, clean floral citrus which characterises Kilchoman single malt. Like with all of the stages of production at Kilchoman, our stills are charged and carefully controlled by hand, allowing the stillman to adapt to the natural variations of each distillation run. Our single malt is matured in a combination of cask types sourced from the finest producers around the world. Each barrel contributes a unique character and colour to balance with Kilchoman’s classic peat smoke and floral sweetness. Our two main cask types, bourbon barrels and sherry butts, are sourced directly from the world renowned Buffalo Trace distillery in USA and Bodega Miguel Martin in Spain. 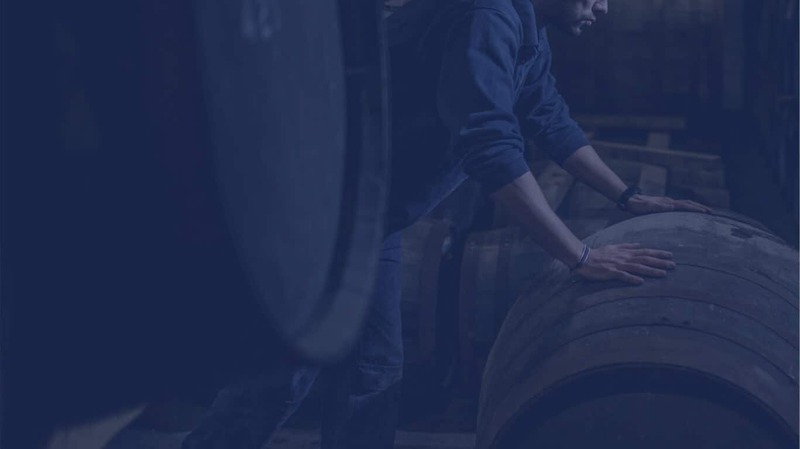 As well as bourbon and sherry casks we also fill a number of speciality casks including Sauternes, Red Wine, Rum, Port, Madeira and Cognac casks as well as various secretive experimental casks. Our range of single malts are all bottled on site at the distillery, eventually completing journey from barley to bottle. We are very proud to have every stage of production at Kilchoman, from barley growing in the fields around the distillery to bottling on site. Kilchoman single malts are a distillation of people, passion and place.